This Lamp Is Part Of A Collection That Delivers And Update In Color, Pattern And Style Through Bold Graphics, Technical Materials And High-Gloss Surfaces And Textures. The Collection Is About The Freedom Of Expression And The Creation Of A Space Tailored To Ones' Own Specific Taste And Comforts. 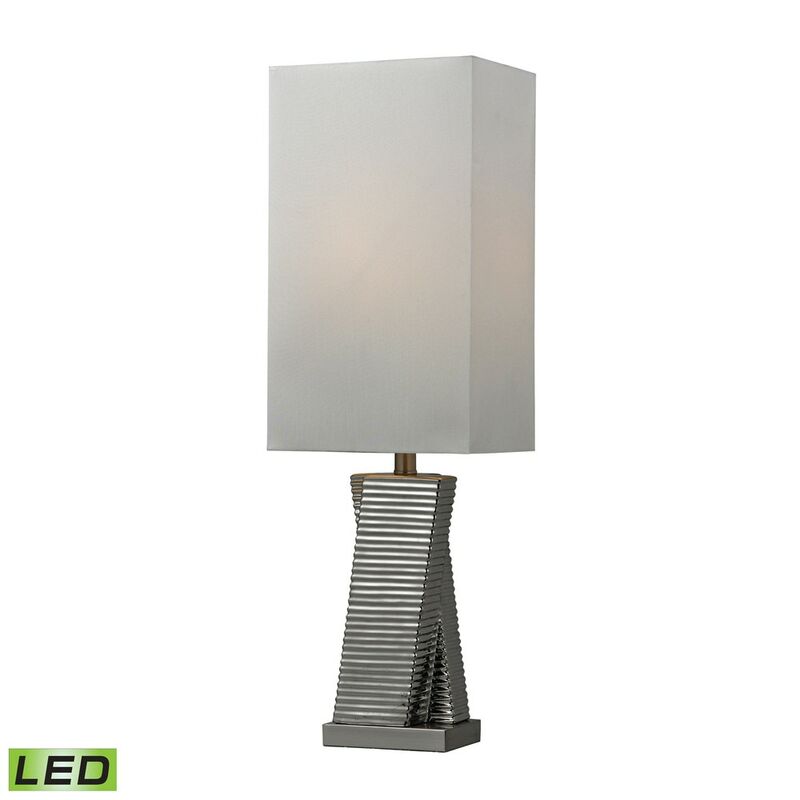 The Chrome Plated Ceramic Table Lamp Is Topped With A Rectangular Hard Back Shade In A Pure White Linen. The Base Measures 10"W X 8"D X 30"H With Shade Measurements Of 10''W X 8"D X 17"H. Requires One 9.5 Led Medium Base Bulb (Included).